A Tale As Old As Time comes to Mark Keppel! 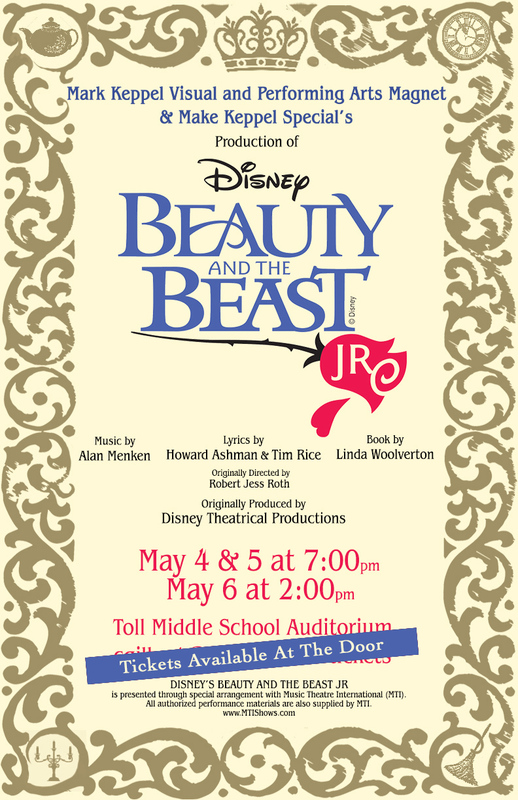 MKS Foundation and Mark Keppel VAPA Magnet present Beauty and The Beast Jr., featuring the 4th- and 5th-graders who signed up for Master Class. Performances run May 4th-6th at the Toll Auditorium. Tickets Available At The Door.